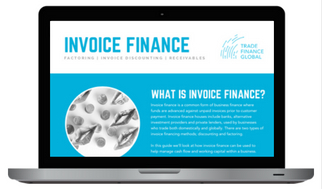 Guarantees and indemnities are used by borrowers to protect themselves from the risk of debt default, which means being unable to fulfil its obligations under a loan agreement. Given their function, lenders will usually seek a guarantee or indemnity to be taken, especially when they have doubts about the solvency of the borrower. In brief, lenders are seeking an extra security by having a guarantor/indemnifier to cover the borrower’s obligations under the loan agreement. Guarantees and indemnities are two differing type of contract and will come into effect at different times of the contractual relationship. 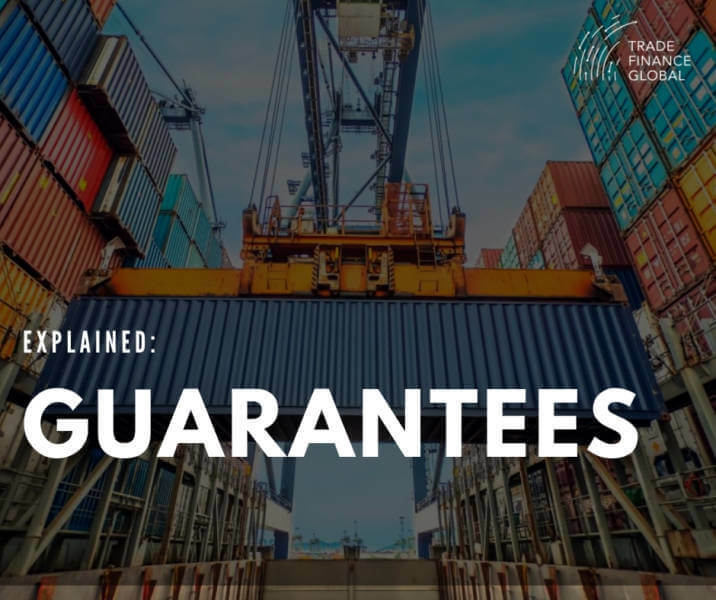 A guarantee is a contractual promise whereby a guarantor accepts to be responsible for the due performance of the obligations of a third party (borrower) to the guaranteed party (lender), if the third party fails to perform such obligations. It can have 2 forms: when the payment of the principal and interests is guaranteed to the lender, it is called conditional payment guarantee. When the guarantee agreement relates to ensuring that the third party (borrower) fulfils its obligation, it is called a pure guarantee. FIG.1: Generally, the lender is a bank which will require that a guarantee is taken to ensure the loan will be repaid, even in case where the borrower is defaulting. The key element of the guarantee agreement is that it creates a secondary obligation as the contractual obligation at issue depends upon the obligations of the third party (principal or borrower) towards the beneficiary of the guarantee (lender). The guarantor is bearing the responsibility for payment of the debt or performance of the borrower’s obligations if the latter fails to perform them. In other words, a guarantee agreement will come into effect when the first obligations are not fulfilled, for instance where the borrower is defaulting. What are the advantages of a guarantee? Right to indemnity: once the guarantor fulfils its obligation by paying the beneficiary (lender) under the guarantee agreement, he has a right to claim indemnity from the principal, given that this guarantee was taken at the principal’s request. Right of set-off: in case where the principal’s obligations have been discharged, which sets-off against the beneficiary’s liability to the principal, the guarantor will also benefit from this right of set-off and be discharged of its obligations under the guarantee. Subrogation: when a guarantor fulfils the principal’s obligations under the guarantee, he will be entitled to all the beneficiary’s rights against the principal under the primary (loan) agreement. Marshalling: by virtue of the doctrine of marshalling, a guarantor can obtain the benefit of another lender’s security over the principal’s assets of which he would otherwise not have a security over. 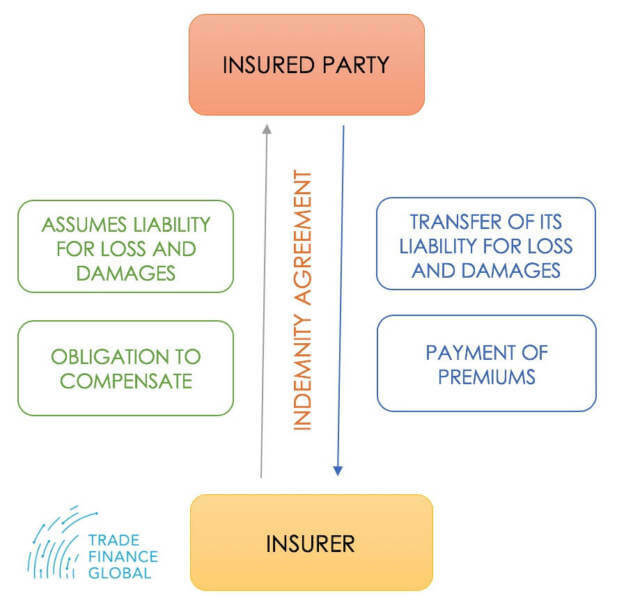 An indemnity is a contractual promise by which the insurer assumes the liability for loss or damages caused by the insured party and agrees to pay the related cost. The traditional example is the insurance contract whereby the insurer agrees to compensate the insured party for damages and losses in return of payment of premiums by the insured party to the insurer. Unlike a guarantee, an indemnity agreement creates a primary obligation in that the obligation for compensation is independent from the obligation of the third party (borrower) towards the beneficiary of the indemnity (lender). In other words, an indemnity agreement will come into effect when the beneficiary (lender) causes a damage or loss, irrespective of the failure of the borrower to fulfil its obligations under the loan agreement. Case example: Company A is a transport company and loose Company B commodities. As Company A has an indemnity contract with Company C, the latter will be liable of compensating the loss caused by its insured, Company A, and pays back the equivalent of the lost commodities to Company B. What are the advantages of an indemnity? An indemnity agreement tends to be advantageous to the beneficiary. Firstly, as mentioned above, the indemnity agreement creates a primary obligation which is valid even when the related contract is set aside. It has thus more strength since any changes or variations in the related contract will not affect the indemnity, the indemnifier still being liable towards the beneficiary. Secondly, unlike the guarantee, no formal requirements are necessary to create an indemnity agreement, meaning it does not need to be in writing or signed. In most cases, guarantee documents will include a supporting indemnity in order for the beneficiary (lender) to benefit from both agreements. Hence, drafting is of crucial importance to avoid mistake and unclear wording. In case of uncertainty, the court will choose the interpretation the is less onerous for the guarantor, meaning the obligation at issue will be characterised as a guarantee. Therefore, the benefit of the indemnity will be lost for the beneficiary.